Do you know the 3 stages we go through as buyers? Are you offering the right information at the right time to the right person? 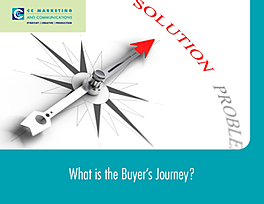 In this e-book we discuss those important stages -- Awareness, Consideration and Decision -- in detail as well as explain the types of information you should create for buyers at each stage. You've certainly been through the buying process as a consumer but may not have given it much thought. To better understand your company's target audience, you should.